It is anticipated that the coming years will be the era of storage systems for petabytes of data and billions of files. Megatel and HPE have chosen Scality RING Object Storage as a solution that meets all the requirements of businesses and institutions needing local storage of petabytes of data while requiring fast and reliable access to them. 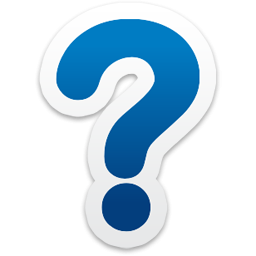 WiFi – If not Cisco than What ? Till today, most dense HPC systems could accommodate maximum of 4-6 high power GPU NVIDIA accelerators in 2U. 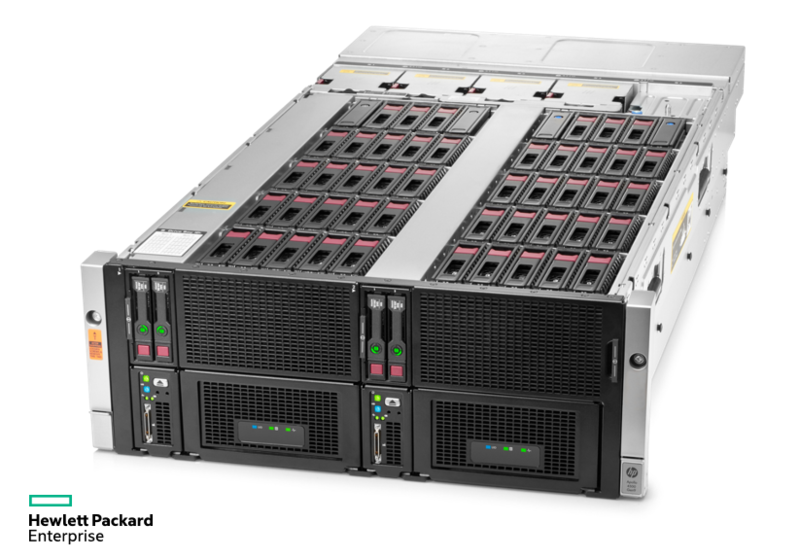 Today, HPE announced new machine called HPE Apollo 6500 server. With two newest Broadwell processors from Intel and eight newest GPU accelerators, it is most dense solution for HPC on the market. The Apollo 6500 will run NVIDIA GPUs, AMD GPUs, and the Intel Xeon Phi. It fits well for deep learning, machine leaning and HPC clusters solutions. We will definitly get one of this for testing purposes. If You are interested in pricing, and more details, feel free to contact Us. 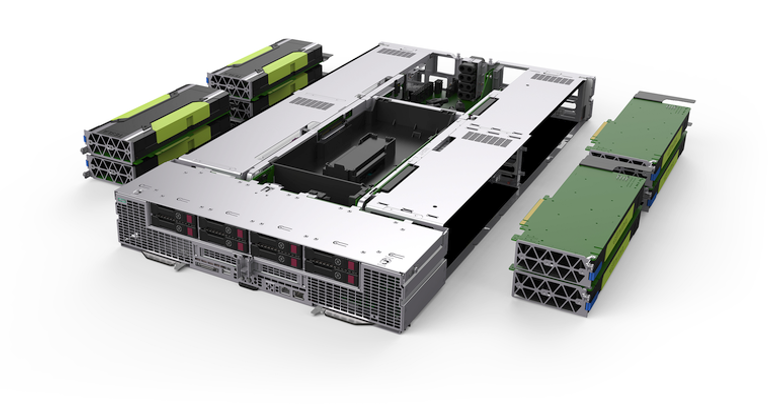 HPE announced new model of Apollo server series. Looking at the architecture, it is clear, that HP didn`t only introduced new chassis which can hold up to two nodes. HPE made big change in the way how disks shelfs are connected to the servers. In Apollo 4510 with one node or Apollo 4530 with 3 nodes, every node has access to one of disk shelfs. On the other hand in new Apollo 4520 we get two nodes, which has access to all disks installed in the chassis. This architecture design is perfect fit for parallel filesystem like Lustre which gives Us very dense solution with HA built-in for OST and MDS servers. 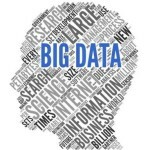 Todays BigData solution implementations faces many problems, especially when it comes to hardware and software management of entire cluster . Administrators are looking for software familiar to vCenter in Vmware culsters, which they could use to administer their whole HPC and BigData Cluster containg hundreds or even thausands of nodes. This article fucuses on HP CMU Software, which can be implemented to administer BigData Apache Hadoop clusters. 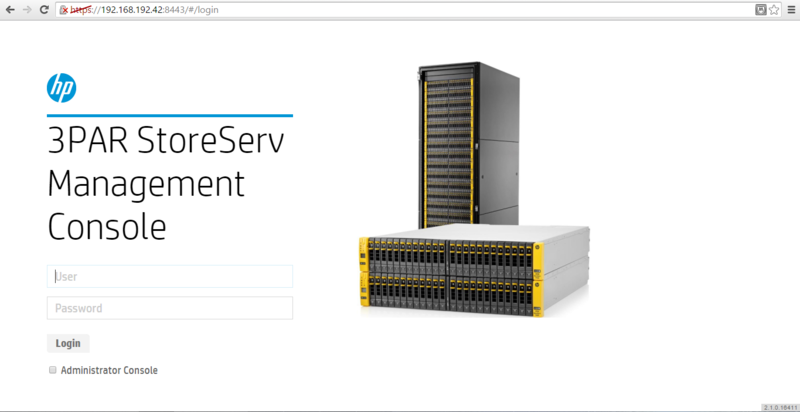 HP 3PAR StoreServ Management Console (SSMC) is HP 3PAR management an d reporting software that offers converged management of up to 16 arrays with native reporting for those arrays. While centralizing management under a single pane, you will double your virtual machine’s density on your physical server, by saving 50% of its storage capacity. It is accessible through a web based UI, which allows users and administrators to run operations remotely from any device. The HP 3PAR System Reporter is fully integrated in SSMC and offers reporting templates, scheduled reports and threshold alerts. 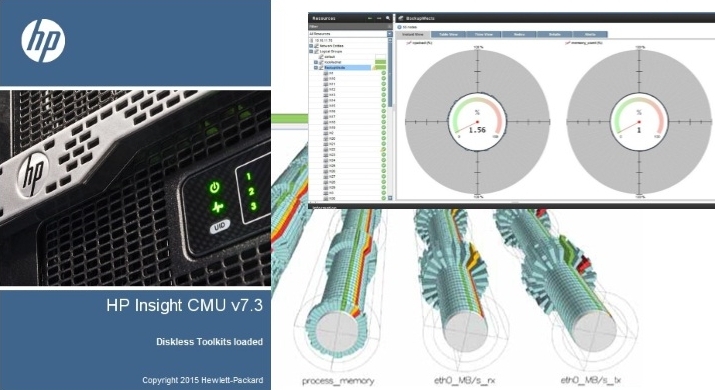 We have already written about the capabilities of HP Advanced Power Manager. However, we would like to show an example of practical use of HP APM for monitoring of a cluster, and, more specifically, the power consumption by the cluster. The idea of an application based on APM is a Web page with a cluster map and a diagram of racks. When choosing a disk solution, one of the most important features in addition to its size is the protection of data to be kept there. CEPH technologoy, in addition to the scalable solution, which enables to freely increase the disk space, offers proven data protection methods: Replications and Erasure Code. What is the difference and which solution to choose in our system ? Imagine that we have a thousand of servers at our disposal that do not have a system, but we alread y have the iLO network set up. With the iLO functionality in servers, we can mount the system image and install it, but how long would it take? It would be very long and tedious work. The rescue comes from the HP Insight Cluster Management, called HP CMU, which is designed to make the work of the Administrator quick and easy. Apparently, users can fill any disk resource. But not in the case of CEPH! This disk system is built on individual multi-drive servers (nodes) connected to a network. With the addition of subsequent nodes, the system capacity increases linearly and in addition, its efficiency increases. The only limitation is your budget and space in the server room. Our company has done the production deployment of a very efficient disk cluster using the CEPH system as a shared storage area for the computing cluster. The cluster with a capacity of 1 PB and resistant to failure of any node can reach transfer speeds in excess of 10GBps. Here you'll find descriptions and observations from ongoing implementations, tests and experiments. We invite you to join in by leaving your comments or by subscribing to the RSS feed. We hope that any specialist in the IT industry will find something interesting on the blog.